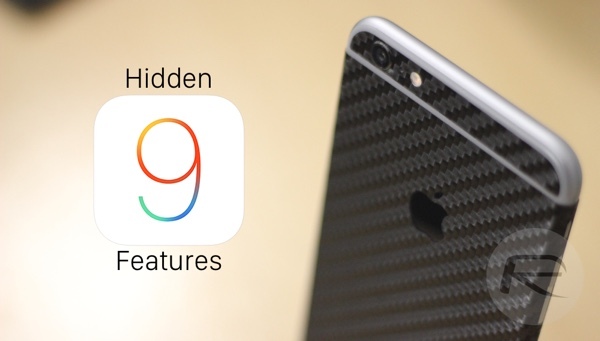 Here’s a list of all hidden iOS 9 features for iPhone, iPad that Apple didn’t talk about at WWDC 2015.
iOS 9 is a goldmine when it comes to features. There are small little changes around every corner if you look close enough. So much so that Apple took the liberty to skip most of the features and talk about only the key ones. But today, we’re going to point out Apple’s omissions and let our readers know what the company didn’t reveal on stage. 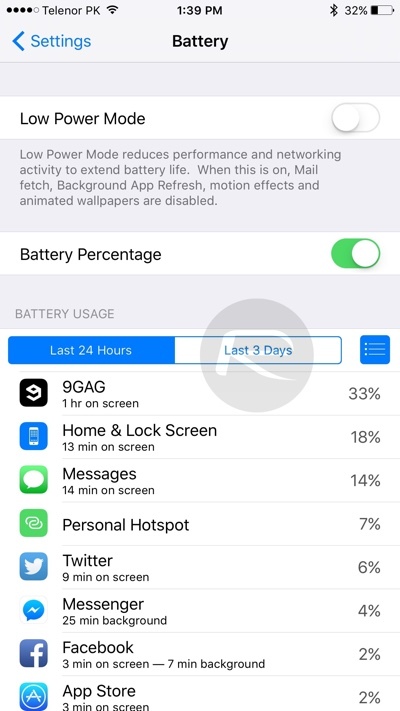 Going to Settings > Battery and tapping on the ‘three horizontal bars’ icon on right corner reveals a more detailed overview of apps and how much battery life they’ve taken up in terms of screen on time, background activity etc. 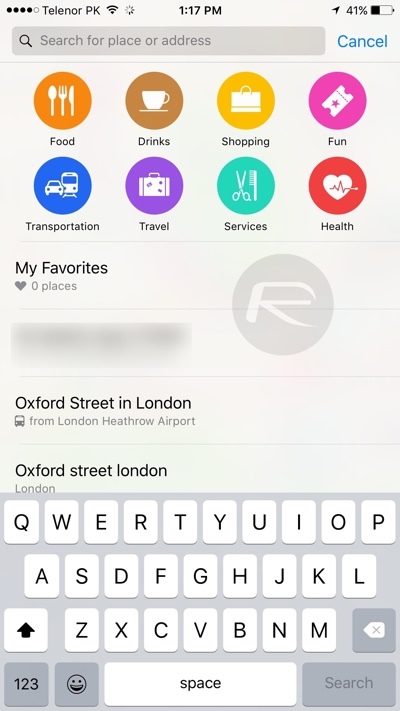 The Settings app now has a search bar on top, allowing you to effectively search for what you want, rather than navigating through menus to get to your destination. 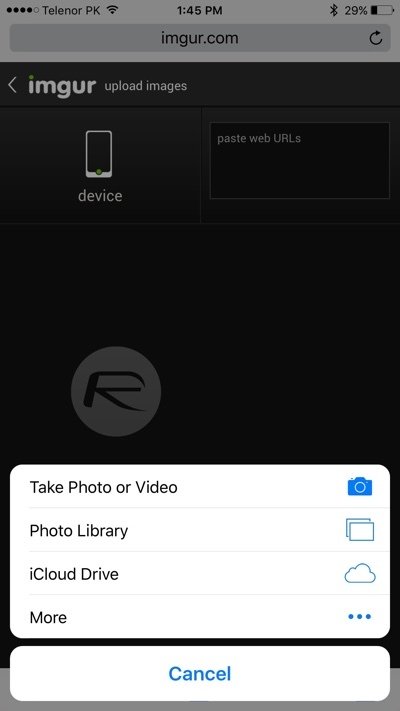 In iOS 9, you can now simply swipe down on a photo in the Photos app to dismiss it and go back to your Albums view. 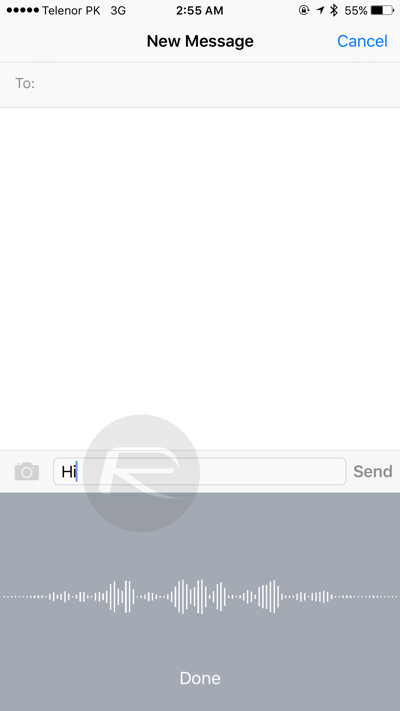 The keyboard in iOS 9 now shows upper and lower case letters. Just bring up the keyboard anywhere, tap on the Shift key to experience this change for yourself. 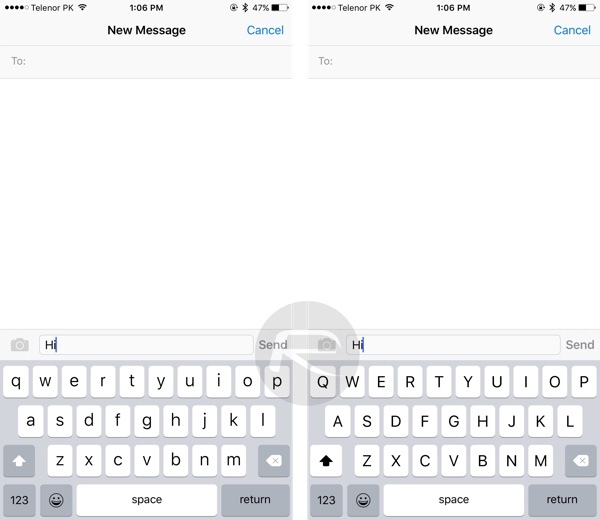 Don’t like the new lower / upper case keys in iOS 9? You can turn them off in a newly added menu in Accessibility. Navigate to Settings > General > Accessibility > Keyboard to access this option. 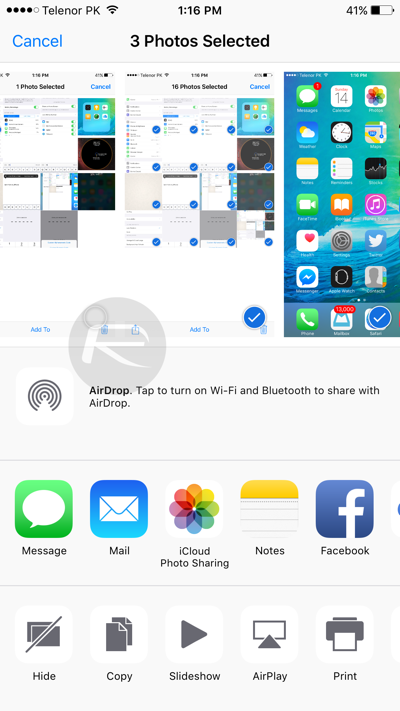 Open up an image in the Photos app and you’ll notice a new thumbnail strip at the bottom. Slide your finger on it to quickly navigate through your gallery. Whenever you receive a notification and tap on it, you’ll see a new ‘Back to [app name]’ button on the top left of the display, taking you back to your previous app, negating the need to open the multitasking view to achieve the same thing. 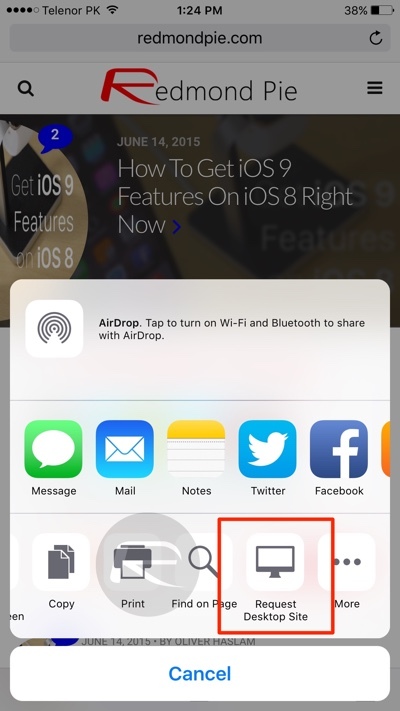 If you’re watching a video on your iPhone or iPad, you can simply use the pinch gesture to zoom in or out. The Mail app now lets you add any type of attachment to a new email message. Tap and hold on the body of the email message to reveal the new option. 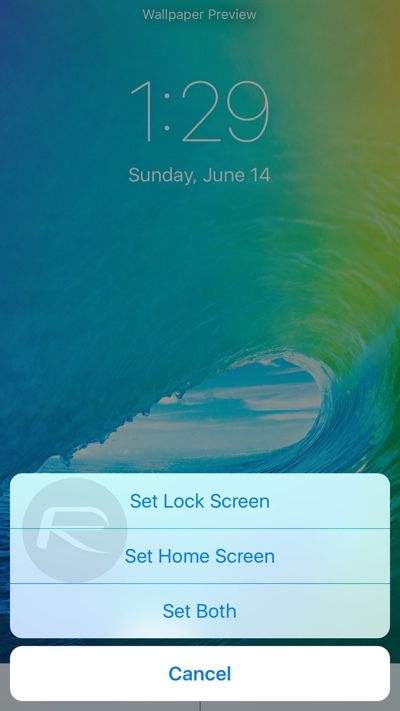 Instead of opening the Wallet app from Home Screen, you can access it directly from the lock screen. Simply double click the Home button on lock screen and it will take you straight to Wallet. 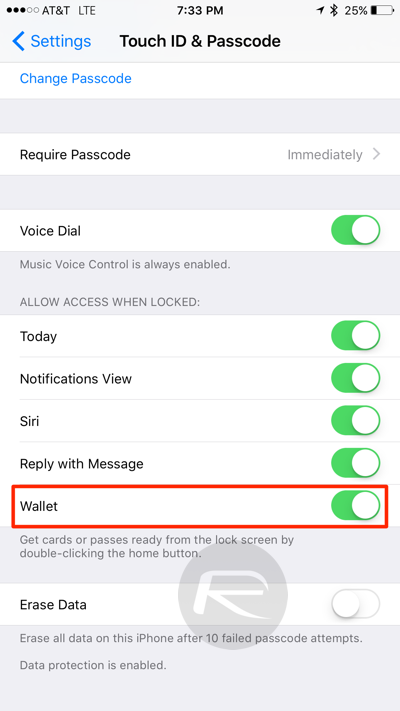 This can be disabled by going to Settings > Touch ID & Passcode > Wallet. 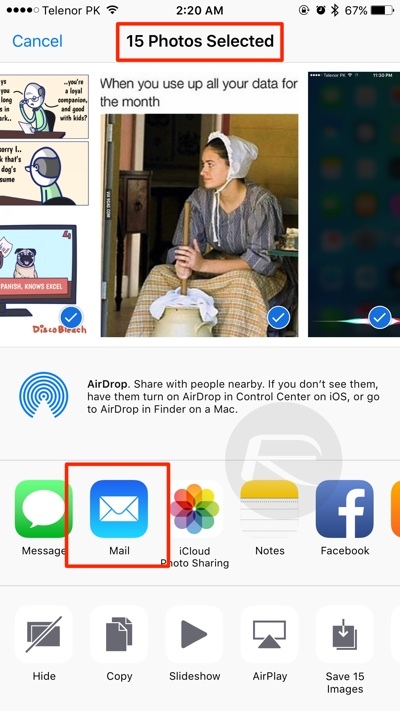 The new Mail app also lets you save attachments to iCloud Drive directly. Tap and hold on the attachment file to bring up the new option. 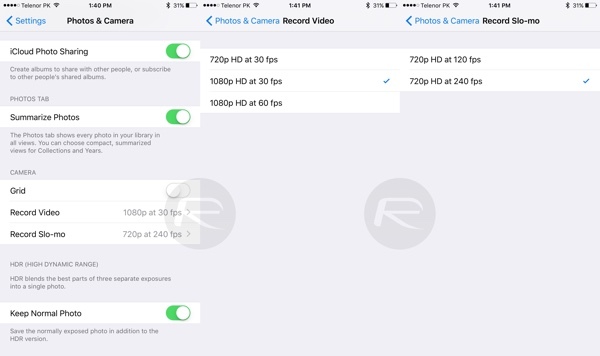 A feature that was previously possible only using a jailbreak tweak, you can now turn the device’s flash on or off while recording a video in iOS 9 Camera app. 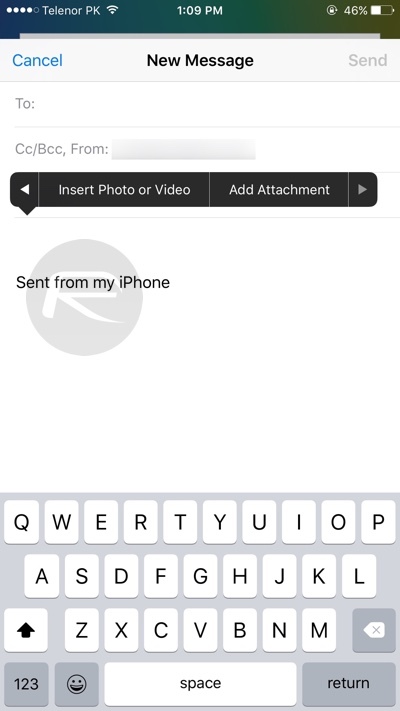 From the Photos app, you now have the option to email more than 5 photos at once using the stock Mail app. 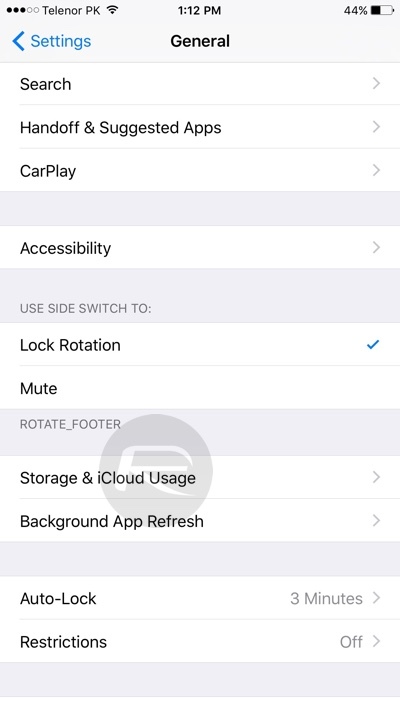 Navigating to Settings > General reveals a new option for iPhone users, which allows you to select what the side switch on your phone does – Mute or Lock Rotation. This option has been previously available on iPad only. Having trouble using your iPhone or iPad’s touchscreen display? A new option will help you customize / adjust the sensitivity of your device’s display. Simply navigate to Settings > General > Accessibility > Touch Accommodations to access it. 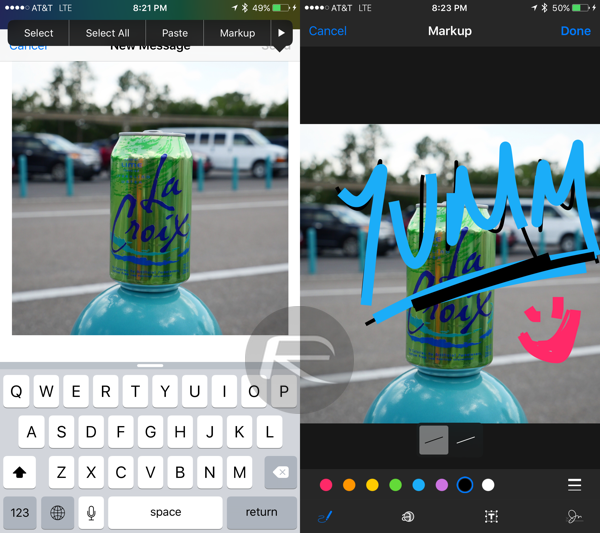 Instead of individually selecting each photo in the Photos app, you can now simply select one, swipe your finger on the rest to select them all. Very handy if you plan on doing a bulk delete routine. 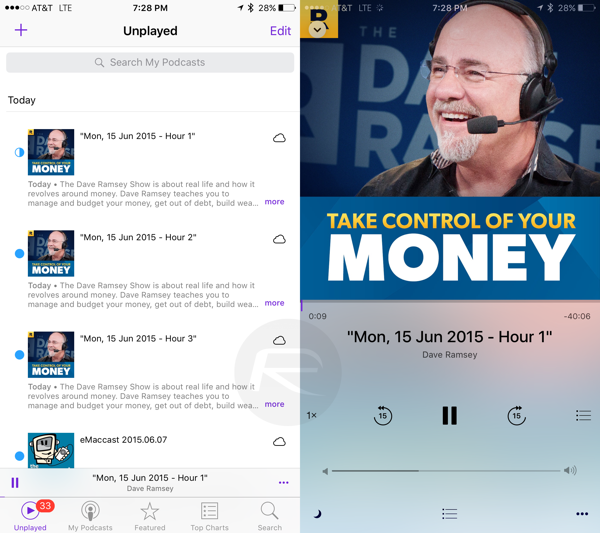 There’s a revamped UI for new Podcasts app in iOS 9. 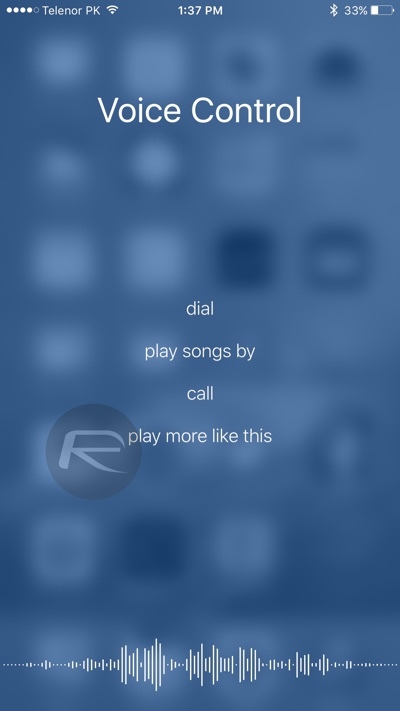 Like the Music app, it also features a Mini Player. If you’re a podcast listening fan, then this is a great treat for you. Navigating to Settings > Notifications reveals a new toggle that allows you to group notifications on a per app basis. Tapping on the search bar in Maps app reveals a bunch of new suggestive options, such as Food, Drinks, Travel etc. Navigate to Settings > General > Auto-lock and you’ll be presented with a new ’30 Seconds’ auto-lock option. 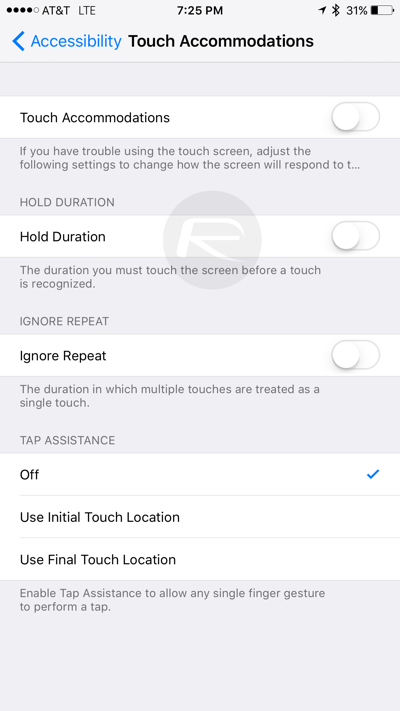 The Accessibility settings in iOS 9 features a new ‘Vibrations’ option, which allows a user to turn off all device haptics for any sort of notifications in one fell swoop. 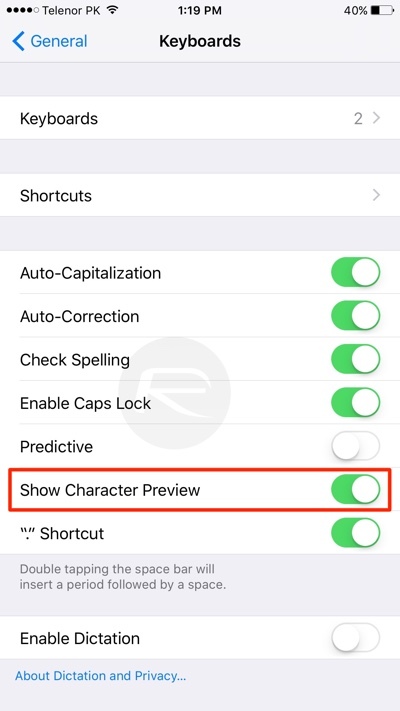 iOS 9 allows you to turn character preview off on the keyboard using a simple toggle switch. This can be found in Settings > General > Keyboards. In Safari, you can now access the desktop version of a site by tapping on the Share button. Previously this option could be accessed by tapping on the address bar and pulling down on the display. 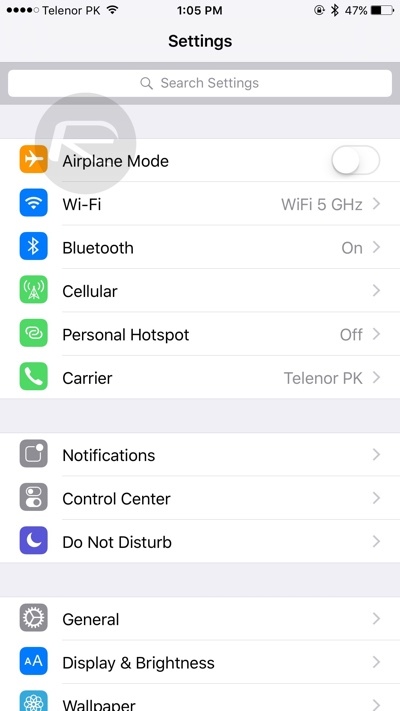 iOS 9 features menus that have rounded edges rather than the square ones found in iOS 8. 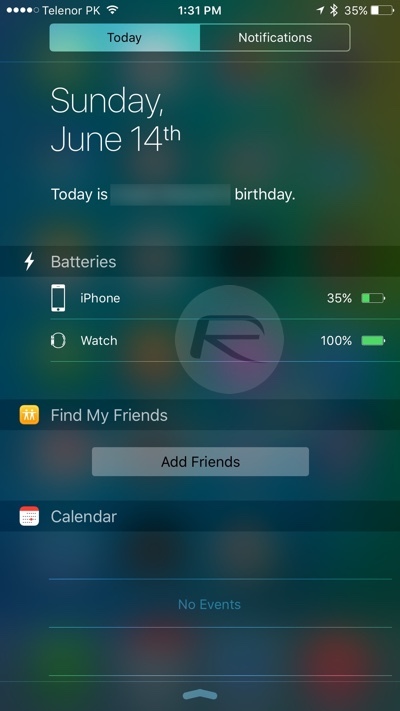 The Notification Center has a new ‘Batteries’ widget, which shows you battery stats for your iPhone and even your connected Apple Watch. 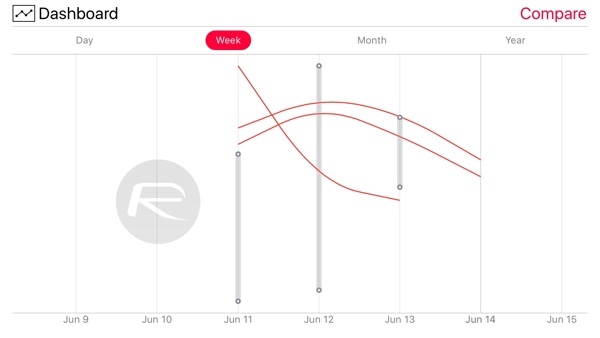 Apart from that, Apple is also throwing in a new Find my Friends widget. Look up a contact in Search and you can call or message them directly from there. 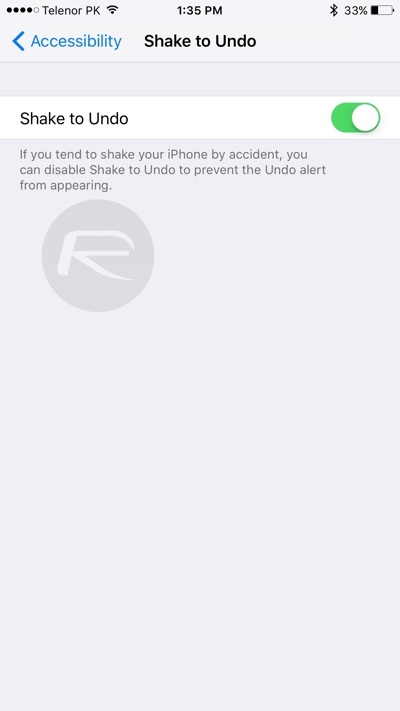 iOS has always had a feature which allows you to shake your device to undo certain actions. You now have the option to disable this feature to prevent the ‘Undo’ alert from popping up. Navigate to Settings > General > Accessibility > Shake to Undo to disable / enable this feature. 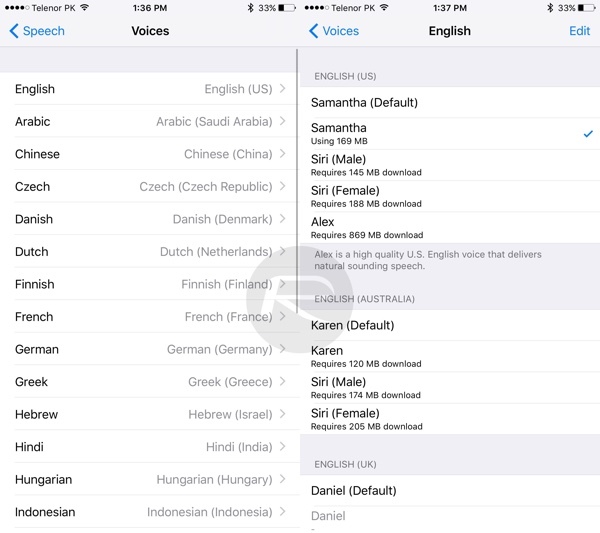 iOS 9 features new voices to read out selected text on your iPhone or iPad. Navigate to Settings > General > Accessibility > Voices and select any option – English, for example – to access and download new voices. 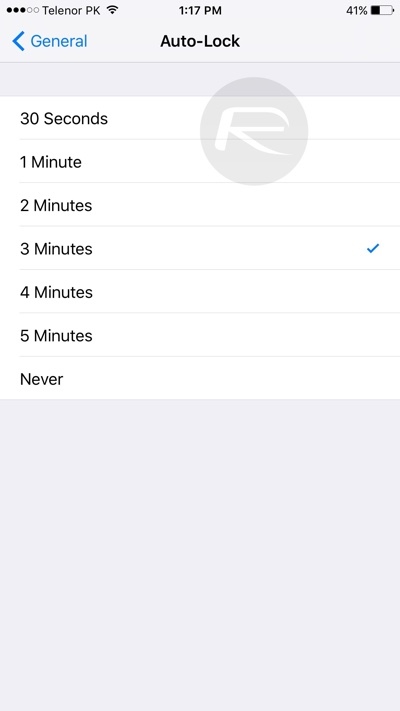 If you don’t use Siri, or have a old device not compatible with Siri, then you can access Voice Control by holding down on the Home button for a couple of seconds. 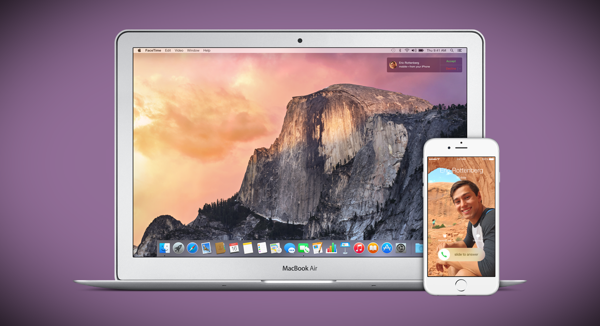 In iOS 9, Voice Control has a new UI, suggesting that the feature still has life left in it. You can now select all email messages in iOS 9 Mail app at once and perform bulk actions on them such as Mark All, Move All, Trash All. 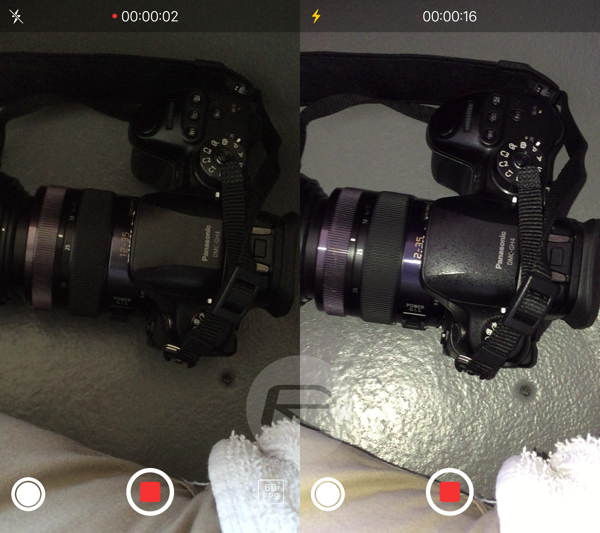 Navigate to Settings > Photos & Camera and you’ll be presented with a new couple of options to set video or Slo-mo resolutions. The Health app now works in landscape mode too. Simply tilt your device sideways and see the magic happen there and then. 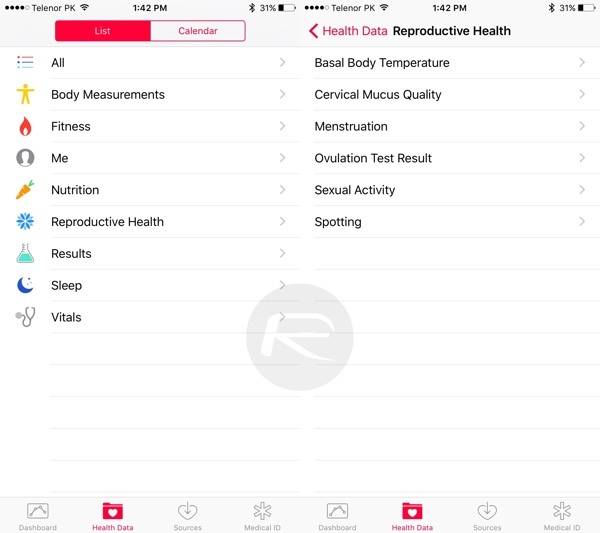 The Health app can now give you stats on female health or your sexual activity. You can access this new addition by launching the Health app and tap on ‘Health Data’ below. The Reader Mode in Safari is now customizable, allowing you to select the background color or typeface for the article you’re reading. Simply open any article you want to read, and tap the Reader Mode button in the address bar and then tap on the ‘AA’ button as shown in the screenshot above. 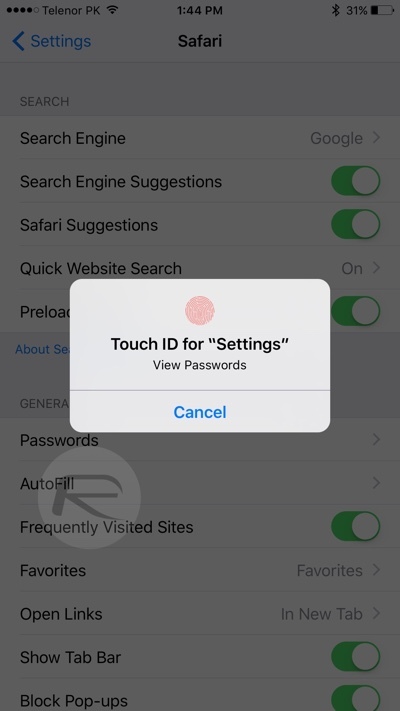 Navigate to Settings > Safari and tapping on Passwords under the General panel opens up a pop-up asking you to verify yourself using Touch ID instead of the usual PIN code option if you have one in place. 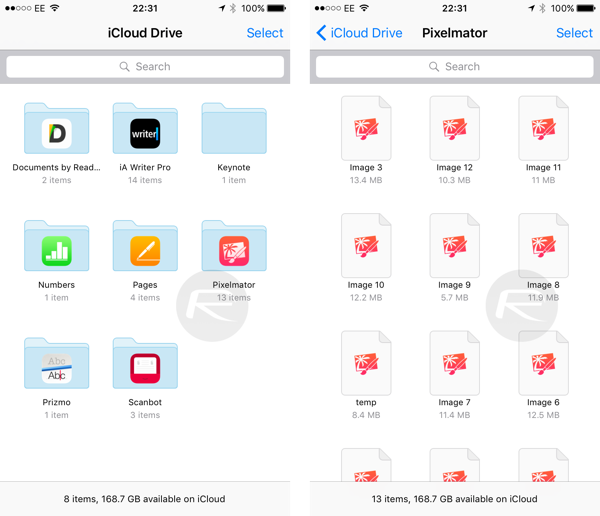 You now have the option to upload content in Safari browser using iCloud Drive. 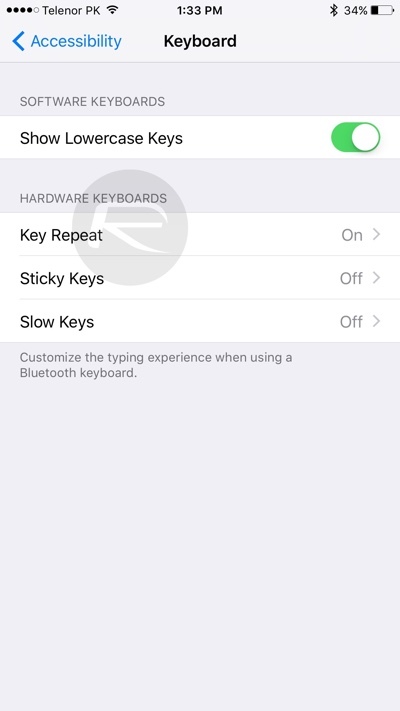 Tapping on the Dictation / Mic icon on the keyboard brings up a new UI as opposed to the old one found in iOS 8. It does exactly what it should, only the UI has been given a lick of paint. 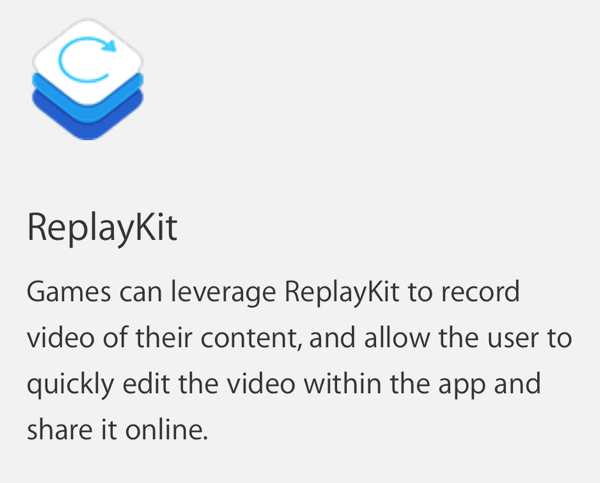 A feature which required a lot of rigmarole to achieve, iOS 9 will let users record their iPhone or iPad’s display natively using the new ReplayKit API. 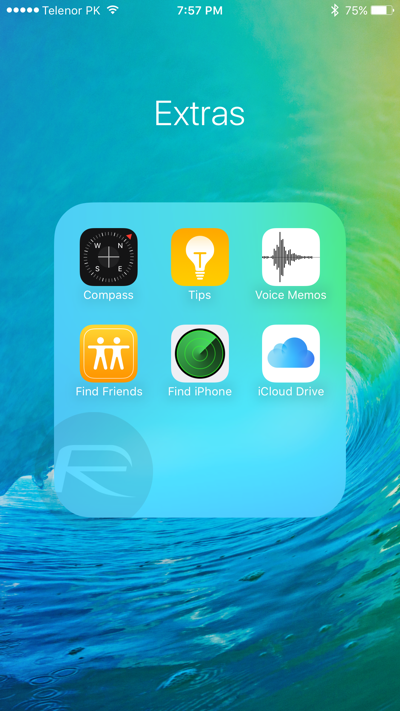 iOS 9 comes with three new stock apps, which by the way, you can’t uninstall. 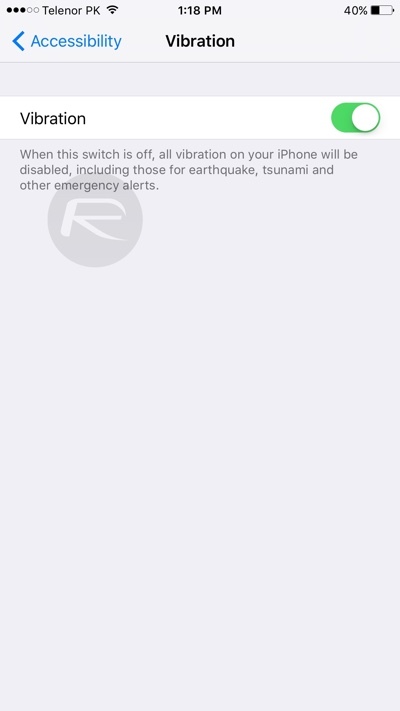 The new options include Find my Friends, Find my iPhone and iCloud Drive. 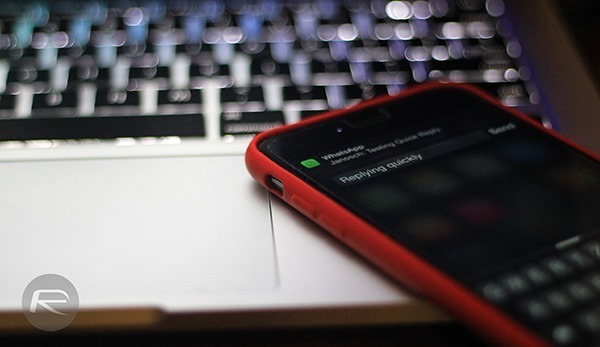 iOS 9 will allow users to pick up a phone call on their Mac or iPad even if their iPhone is sitting snugly at home. This all happens over cellular data, unlike WiFi on iOS 8. 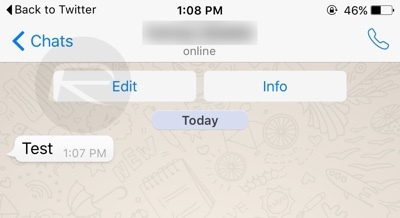 A feature exclusive to iPhone 6 Plus users, iOS 9 aims to change that by bringing contact thumbnails to the Messages app for all iPhone users. 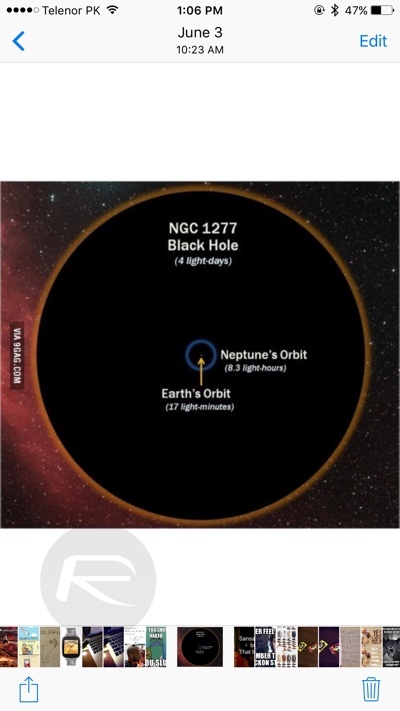 This one’s a biggie. 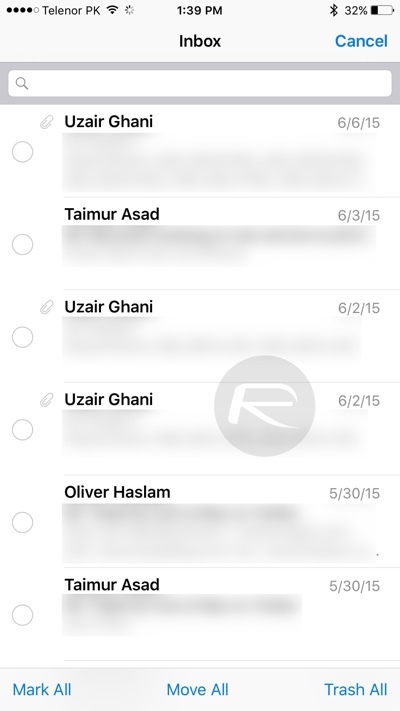 iOS 9 brings the famed Quick Reply feature support to all third-party apps. 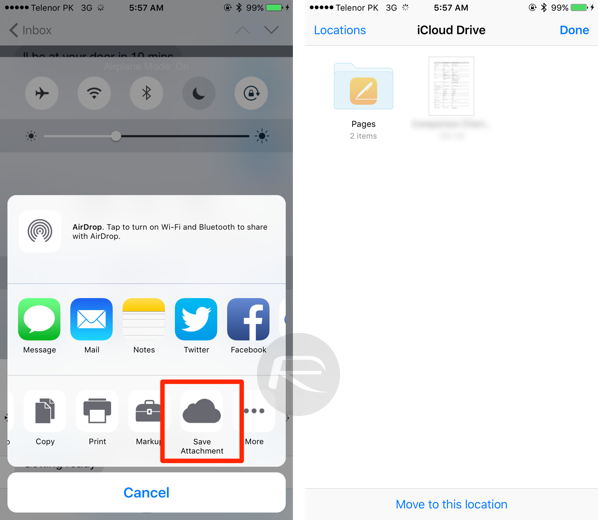 Well, you can toggle the iCloud Drive icon on/off, so it’s only two new apps you can’t hide. Anyone can tell if vocal notes in iMessage have better audio quality? I believe the contact pic for messages is applicable for iPhone 6 Plus only. I was expecting to see some auto-translate feature whereby you can search in any language in spotlight and receive information (contacts, apps, etc) in all languages. Ok so 50% of these “features” WERE actually shown off during the keynote, but at this point were all used to Reds pathetic attempts for clickbait. Some features however, are pretty cool, that I didnt know about. Mainly the depth of settings, thats pretty much it. What case is that in the last pic? 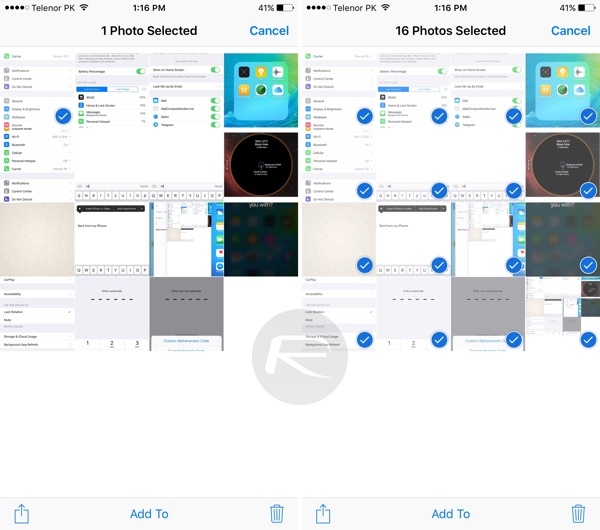 The article does state it iOS 9 aims to change that by bringing the thumbnails to all iPhone users. 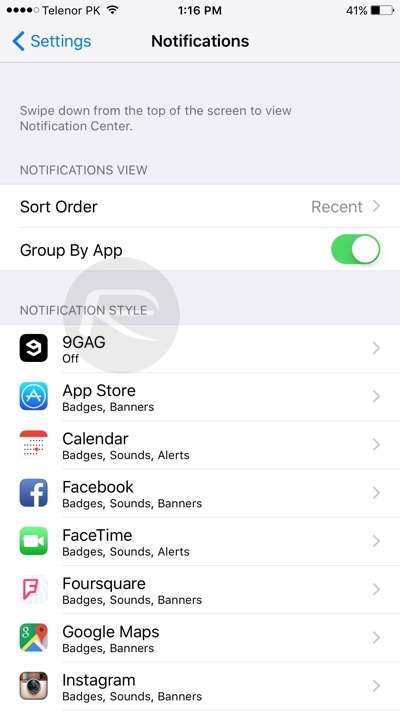 Group Notifications By App – this is what happens in iOS 8, what they allow in iOS 9 is to disable this and see the notifications sorted by date. It’s the Apple silicone case. I was just about to comment about how Apple went ahead and copied ideas that were already available to people who jailbroke. It’s just going to be that much more sweet when the ‘rootless’ iOS 9 gets jailbroken and we get to see in iOS 10, the highlights from the iOS 9 jailbreak tweaks. You know that the beta isn’t the final right…? That isn’t bad, in fact, they are taking ideas that people want and putting them so that people don’t have to compromise their phone with Jailbreak. That is good, because it means that popular jailbreaks will be available for everyone. As for the Cydia developers, they shouldn’t be messing around in a varying and diminishing market. Voice Control on ios9 iphone 5c and 5s does not work for me. I disable siri, then hold home button and nothing happens. Anyone else? Hey Redmond, I found this a few weeks ago and forgot to post about it. When you’re on a photo and hit share, there is an option for “Save PDF to iBooks”. It makes a PDF out of your pictures, built in! I haven’t found another program that lets you do it, but I haven’t looked very hard either. Will you add it to the list? Thanks! It worked on my iPhone 4s. Try restarting your iPhone. For some these “little tweaks” are very helpful. Anyone know how to permanently disable Voice Control for the new iOS 9.1? 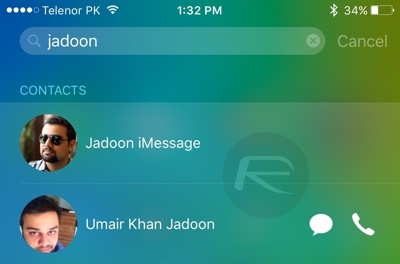 I miss iOS 8’s spotlight search where I can see messages even if the person was not saved in my contacts, even tho there are no details as to when the message was sent or received.